Mark Needham is a Grammy nominated and multi-platinum mix engineer who has a track record for not only mixing hit records but also working early in the careers of artist such as Fleetwood Mac, The Killers, and Imagine Dragons. See how he uses his custom presets and a creative workflow to quickly set up an effortless mix of a massive session with layer upon layer of production. Absorb how Mark works on each element of the mix with full transparency. Like a game of chess, every move he makes has a purpose and sets himself up for success later in the mixing process. Learn from Mark's intuition that comes from over 35 years of experience working with superstar artists such as Chris Isaak, Shakira, Moby, Pink, and more. 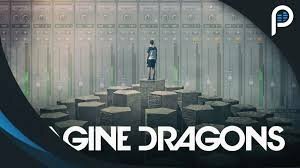 "It's Time" by Imagine Dragons is certified 3x RIAA platinum and was the band's first Billboard Top 40 single. 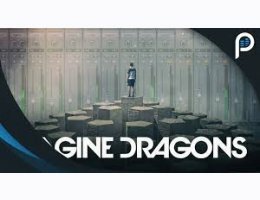 The song blurs the lines between genres and epitomizes the band's mix of alternative rock and pop that focuses on deep bass, strong drums, and powerful vocals. This is an unique chance to absorb Mark's unique mixing techniques and methods. Learn all the tricks he used to mix a hit song and then apply them to your own mixes! PLUS you get access to the raw stems from the original session to practice and perfect all of the tips and techniques you'll pick up from Mark Needham and Imagine Dragons. Explore the tracks on your own! Please note: stem files are truncated and contain the un-mixed and consolidated wav files for every track in the original session from the intro to the 2nd verse.